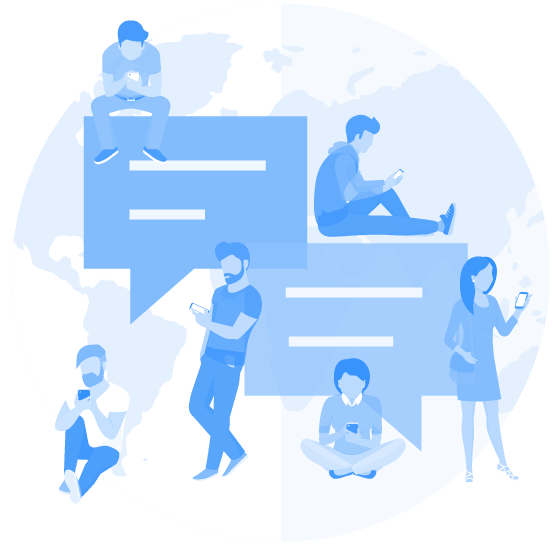 A recent study by OpenMarket found that customers expect businesses, especially financial institutions, to have text messaging capabilities built into its communication processes. In this research, customers sent over 400,000 text messages to a select number of Fortune 500 companies during a 12-month period, with over half being sent to financial companies. There was just one problem — none of the 400,000 messages were received or responded to by these businesses because none of them had the text messaging software to do so. This study emphasizes why businesses must adopt text messaging functionality into their communication and support channels. 224.3 million smartphones are already in the hands of U.S. consumers. Because of this, nearly 18.7 billion texts are sent every day. This will likely increase in the years to come — Statista reports that the number of smartphone users will grow to 270.7 million by 2022. At the end of the day, banking is a very personal thing. It’s emotional. The most successful customer service teams make engagement a priority. Despite this, it is important to remain cautious with how you roll out a conversational messaging platform. Without the proper customer service strategy in place, an aggressive approach runs the risk of being broken or having a clunky user experience. However, digital banking leaders should take action now to prepare for future conversational messaging or run the risk of being left behind.